There are only a few things that separate an amazing orchid plant to your regular good ones and more often than not one of them is the fertilizer. Wild orchids have been doing fine and growing healthy without the aid of any fertilizers. In places such as rain forests, these plants feed off any nutrients they can get their roots into. Examples of these are decaying leaves, animal dung and even your simple rain water. Orchids grown domestically on the other hand need that push for them to reach their optimum health. This is where orchid fertilizers enter. Orchid food as most people call them, are not really a necessity as much as a high recommendation when it comes to growing these incredible plants. They can survive with just the basic water, soil and sun combination. But if you are the serious hobbyist and you want your plants to be of the highest quality then there’s no second guessing when it comes to using fertilizers. Giving them the proper care in combination with proper application of orchid fertilizer, you will get results that will be seen on their stunning flowers and healthy leaves. This is perhaps the mostly common tip that any orchid enthusiast can share with you when it comes to using orchid fertilizers. The difference between orchids and other plants is that they need less of it. In fact, giving them too much can be harmful to their growth and can even cause your plants to burn. Most fertilizers have salt minerals in them that when given in large amounts can harm the plants. Overfed orchids actually grow faster than usual but result in weak, disease-susceptible plants. And this will be greatly noticeable when they start to bloom. Giving them small amounts on a weekly basis is the thing to follow. And if you can, at every end of the month flush the pot out using water to eliminate the fertilizer’s residue build up. The N-P-K combination as most orchid hobbyists would call them are the main ingredients or the major nutrients that one should look for when buying orchid fertilizers. When your chosen fertilizer has all of these major nutrients, then you are all set. Don’t be confused by all the fancy things you can find on the labels. See, although there are 17 other minor nutrients that orchids need, as long as you have those three you will do fine. One more thing, that you may notice when buying fertilizers are the 3 numbers printed on their labels. This actually shows you the percentage concentration of the 3 aforementioned major nutrients. Choose the most balanced one, usually having equal parts of everything such as 10-10-10 or 20-20-20. If you are dedicated to growing orchids, be sure to take time in researching the best orchid fertilizer for your specific type of orchid. As you may know there are lots of types of orchids and each may have specific need that varies from the others. So although these tips can be used for most orchids, it is still much wiser to go to a battle well-prepared. Happy growing and enjoy your orchids! There really is not much difference at all between growing orchids and growing other plants. All plants really need the same care to be healthy and this consists of meeting their basic needs in terms of water, food, warmth, sun and air. Orchids require these same basics to grow and thrive – it is only the amounts which separate them from other types of plants. The amount needed of each of these elements for growth also separates orchids from one another. Orchid care begins with providing the right humidity level for the type of orchid you intend to grow. Generally speaking, orchids need between 40% and 70% humidity day after day. 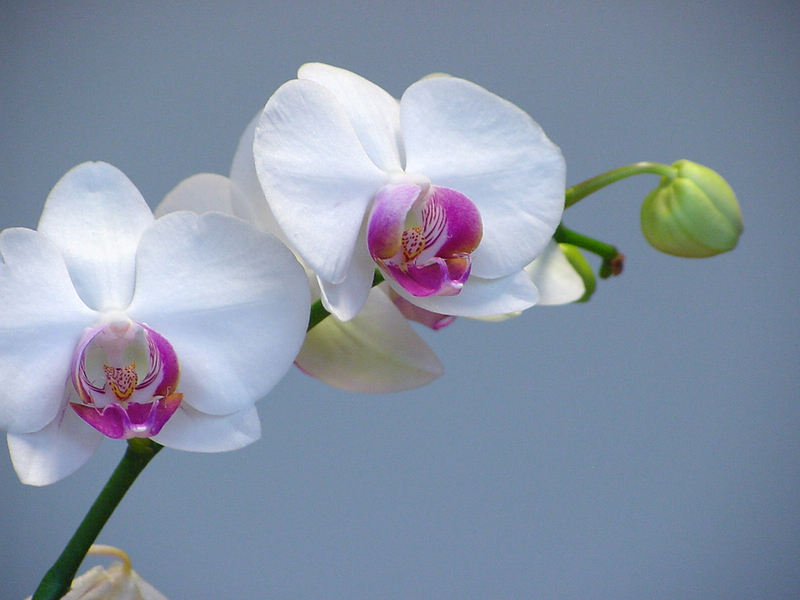 While most plants control water evaporation, orchids cannot, and are constantly in a state of losing water. The only controlling factor is the amount of humidity in the air. Know how much humidity your orchid is going to require before purchasing it. If you are growing orchids, you need to supply continuous atmospheric moisture, whether it be by hosing the garden or inside, by spraying the plants, setting them over trays of water or keeping them in a container such as a glass environment where you can control the humidity levels. Humidity is not a problem in cold weather. You should follow periods of humidity by a time of drying out. This is similar to having morning sun followed by an afternoon shower, and then morning sun once again the next day. Air is another necessity of orchids. In nature, orchids often grow up trees because they have excellent air circulation. While all plants pull carbon dioxide from the air, orchids are extremely efficient about it. Good ventilation is essential to growing healthy orchids indoors. A ceiling fan is good for air circulation. Even indoor orchids need fresh clean air inside so open a window whenever possible. If it’s cold outside, arrange it so the air is warmed before it hits the plants. For example, open the window from the top and not the bottom. Place your orchids where they will get the most sunlight they can without suffering any ill effects, such as sunburn. Orchids need lots of light–around ten hours per day. This light should not be at full intensity at all times so start them out in the sun and then move them to shadier spots or filter the light through curtains until you achieve the desired effect. Orchids need to be protected from frost and snow. Many orchids grow naturally where temperatures dip well below freezing. In the Andes, for instance, temperatures in the 20s are not terribly uncommon. But you must be very attentive to colder temperatures, and orchids that do experience cooler temperatures must remain dry. Cold and wet are not good conditions for growing orchids. Cooler orchids are those said to need a temperature averaging fifty degrees. Check out temperature charts online or in orchid books for which orchids do best at certain temperatures. Your orchids need to be fed. That is a step of orchid care not to be ignored. Some growers still argue about what orchids need to be fed and how much. But, especially if you are a beginner, you will want to do everything possible to have healthy orchids. Begin by using orchid liquid fertilizer, whether it be synthetic or organic. Most orchids today are planted in osmunda, or dead fern roots, which decomposes. Always check your orchids for yellowish or brownish discolorations which might mean the plants are malnourished. Check out recipes for nutrient fertilizers online. If you meet these basics of orchid care and culture, you should have no trouble at all being successful at growing orchids. As long as they have the basics of food, air, humidity, protection and light, orchids will respond positively. Today the majority of people have smaller gardens on smaller plots because of growing population and the need of space close to central points. This, however, should not prevent people from getting excited about their gardens, because even small gardens have the potential to be charming, welcoming and well designed. Less space can mean less costs and less work. Small gardens have complete rules of their own when it comes to design and can actually make you attentive of more detail. A small garden does not have to be restricted to straight neat lines that can even make it seem smaller and cramped. Curves (in the form of stone walkways or curved flower beds) in small gardens create flow or motion and the illusion of more space. Old wood and rock gives texture to a garden while the division of the space into “compartments” by creating different levels can also expand your garden. This can be done by creating a sitting area on a raised platform or by raising some flowerbeds. You can also use bridges, gazebos or trellises to divide areas and placing interesting elements, such as groups of rocks or same coloured plants, in different areas, can ensure more pleasant experiences for you and visitors. To prevent the garden from looking cluttered, it is important to keep the same kinds of plants and rocks together so unity can be achieved. Different colours, sizes, shapes and textures of plants can actually make a garden look more spacious. In these gardens, you should stick with few colours, preferably in the same shades, together with a lot of greenery. The size of plants should be in proportion to the garden as to not overwhelm it. Repeat certain plants throughout the garden and do not use many different tree species. Use smaller plants in front and bigger plants at the back to create the illusion of size. Another way to create illusion of depth is to incorporate glass and even mirrors into the garden by placing them on garden walls or walls of the house. Splash pools are great alternatives to swimming pools that fit into larger gardens and fitting water features into small gardens are possible in some cases. It is important to “guide” visitors from the road to the door and through the backyard in an inviting way. The design of the front yard should make the first and striking impression. It is a good idea to coordinate the outdoor design with the house and possibly around a single theme. Choosing a colour scheme and outdoor accessories that compliment indoor accessories can create a lasting impact. Ultimately, designing a small garden is just as imaginative as and sometimes even more mysterious than a large garden. You do not need acres of grass and vast open spaces to create a welcoming, beautiful space. You will have to take care of your garden and would it not be mush easier to keep fewer acres attractive? Landscaping a small garden saves time and money while providing all the charm you need. You will discover various techniques in which buy organic compost could possibly be made and a number of theories exist as to the way in which they must be treated. You will discover two significant points which are essential for successful compost making and these are adequate drainage and aeration and sufficient moisture. It signifies of collecting the tremendous amount of waste material which is collected together during regular garden maintenance and it delivers the garden, or rather, the soil, with valuable organic matter. This organic matter fulfils numerous essential functions. It allows to enhance the structure of the soil, particularly the heavy clay kinds and also the light sandy types.The size in the location a compost heap will need will depend naturally about the size from the garden and specifically on the amount and sizes within the lawns, for the biggest proportion of compost heap ingredients composed of lawn clippings. The usual recommendation is that the heap ought not be far far more than 90cm (3ft) wide or 90cm (3ft) in height when extremely very first built.The productive breaking down of waste material in a heap depends on the action of bacteria and fungi. The bacteria depend on plenty of nitrogen as food and also the rate of decay is commonly increased by supplying some readily accessible nitrogen. This could possibly be provided by sprinkling the material using a nitrogenous fertilizer including sulphate of ammonia or Nitro-chalk. Begin by purchasing a plant that is mature and has already bloomed once or is in the process of blooming. That way you guarantee a basic degree of success and should not have an orchid which never blooms. 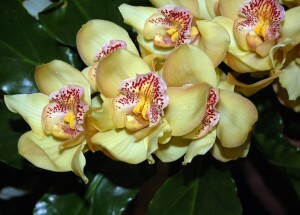 It is your efforts at orchid care which will be rewarded with its next period of flower production. Orchids need a goodly amount of water but not too much water. It depends on the kind of orchid you have that determines how much is enough. For instance, some orchids should get very dry before watering while others should not. If you have a moth orchid, which is one of the easiest to grow, the soil should not get overly dry nor should it ever be soggy. The situation is much the same with orchid care and humidity. Depending on the species of orchid you have, necessary humidity levels can vary from forty to seventy percent. Most orchids tend to be on the higher end of this spectrum as they grow wild in the tropics. You need to find out what humidity level is needed for your specific type and then meet it. If you have a plant that needs lots of humidity and warm air but live in a cold location, you could try growing orchids in a glass home, such as a terrarium. Bright light is also a blooming requirement although that doesn’t mean hours of direct summer sun. Sunburn and scalding can be problems for orchids which receive too much direct sunlight. Inside, you can experiment with windows, especially those facing south or you can use the terrarium or enclosure approach where you can place florescent lighting. Blooms are also dependant on a plant well-fed with plenty of fertilizer. You need to fertilize orchids every couple weeks. In most cases, use a very diluted mixture. The decision is yours whether it be organic or synthetic, such as 10-10-10, 30-10-10, or 10-10-30, but don’t let the fertilizer burn the plant. Plants are dormant for several weeks after blooming. Continue to care for your orchid normally during this time. 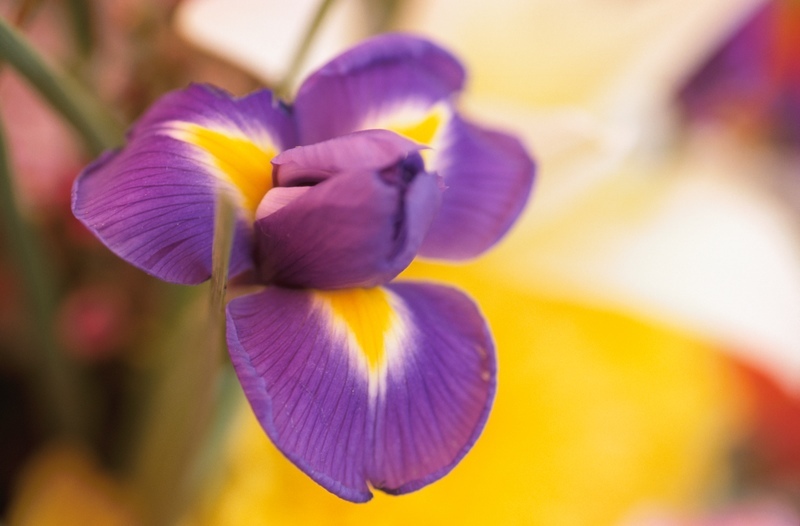 Depending on the type of orchid, you may need to cut off the flower stem and surrounding sheath. Other orchids do not need the stem trimmed at all. Be sure to know which orchid you have and its post-bloom process. If your orchid has been in the same pot for two years or more, it is time to repot during the period in-between blooming. It may be too large for its pot or the medium in which it is planted may have overly decomposed. Be gentle and repot the orchid in osmunda fiber, fir bark, gravel, peat moss, or another material good for growing orchids. This should give it a good start on its next period of growth and new blooms. Orchids grow in all types of conditions from those of the rain forest to the arctic circle. With such an ability to adapt to diversity and just about every possible environment, it would seem that they would have no problem being cultivated in homes and gardens. With selection from the 30,000 species of orchids now identified and hybrids, which number in the 200,000 to 300,000 range, it should be easy to choose the perfect orchid to grow in your particular location. Still, orchids have the reputation of being hard to grow. Many of them are indeed difficult but there are so many thousands of orchids, it is usually pretty easy to find one that will successfully grow inside or outside wherever you are located. If you are a beginner, the best choice for growing your first orchid is going to be to start out by purchasing a mature plant. It is almost impossible to grow orchids from seeds. They need sterile conditions and the presence of a special fungus, without which an orchid can never germinate. This is one of the reasons orchids themselves send out thousands of seeds and only one or two of them will ever germinate. It is possible to propagate by division and this is an easier method. Just remember that it could take up to eight years before a plant started in this manner flowers. Orchids don’t follow many general rules but this one applies to most orchids: Place your orchids, whether inside or outside, in a spot where they will get lots of light. Because light hours are so limited in the winter in colder climates, you will most likely want to install artificial lights to help them grow. While there is some disagreement whether to use grow lights or other types, the choice will depend on the species of orchid you intend to grow. Check at purchase to see if it needs very high intensity lights or not. Orchids are not one of those plants you can never water and ignore for months at a time. While they definitely don’t like to be over-watered, orchids do like a once-per-week watering. They should dry out between one watering and the next, but they should never be completely dry. Also, be careful about watering an orchid that was just replanted or has been disturbed in some way. Orchids are also not terribly fond of the dry air created in the winter by most of today’s furnaces. You will most likely need to get a humidifier. Most orchids love hot, humid weather and are not unhappy even with 70% to 80% humidity. Orchids are fertilizer-lovers. They should be kept fertilized throughout the growing season and especially when they are flowering as most flower for an extended period of time. There is always controversy among gardeners about what fertilizer is best. Overall, liquid fertilizer is preferred. But you can go completely organic, such as with fish emulsions or fertilizer from worm castings. Or, you can use synthetic fertilizers such as 10-10-10, 30-10-10 or 10-10-30. Specific orchid fertilizers are also available. As for the growing medium itself, everyone has their own favorite formula. It also depends on the type of orchid you are growing. You can use fir bark, coconut fiber, sphagnum moss, peat moss, roots of dried fern, cork, or lava rock, to name several. 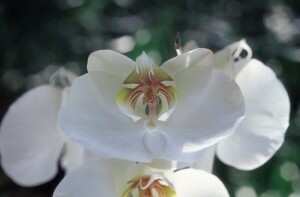 A few orchids, such as cymbidiums and paphiopedilums, are considered terrestrials and can grow in soil. The easiest orchids for beginners are Cattleyas, Epidendrumns, Oncidiums, and Laelias. Whatever type of orchid you plant, be patient. Your efforts will be rewarded in time with beautiful flowers which are long-lasting.